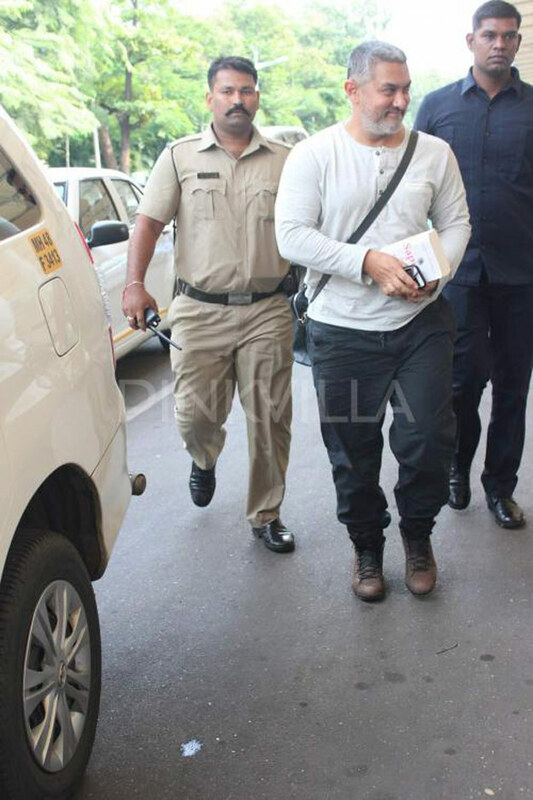 It’s on-again off-again for Aamir Khan – at least as far as his weight is concerned. 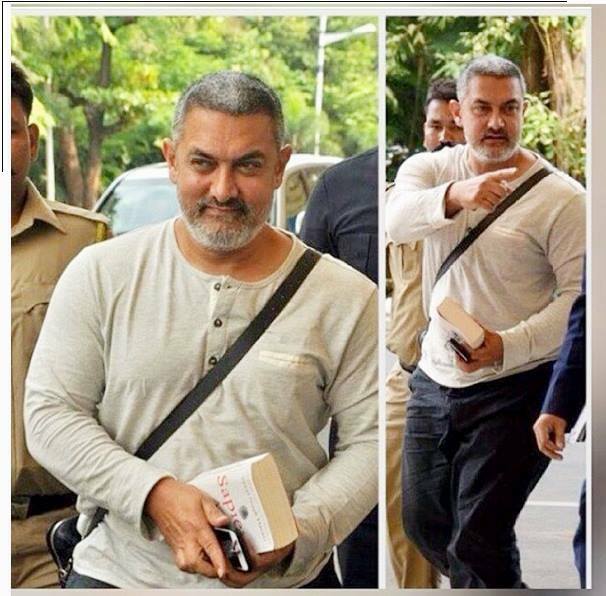 The Khan has bulked up from 68 to 90kgs, for the upcoming movie Dangal, and he is so not a pretty sight. We told you yesterday, the perfectionist Khan will be drastically losing all the extra weight for the second half of the film. Many! Starting from less dangerous problems like skin problems, it can also cause more severe ones like high blood pressure, impotence, heart attacks, and even death. Steroids are simply not to be played around with. What are the after effects of drastic weight gain and loss? Drastic weight loss is often associated with muscle loss and weakness. Dizziness, fainting, excess cravings, mood swings are all commonly seen in people who lose weight drastically due to severely low food intake. Also, such cases also usually end up gaining the weight back quickly as they have not developed habits that are sustainable.On the other hand, drastic weight gain is often associated with increased body fat levels and might also make one feel lethargic carrying the rapidly gained weight. We all love Aamir’s commitment to cinema, but what is the price which these shape-shifting actors pay for fame and critical acclaim? That’s the first major issue with a dramatic transformation. You possibly cannot get 6000 calories in a day from healthy foods – so you overdose on processed, fried and fatty foods which can have an irreversible damage to your heart and liver, putting you at a heightened risk of diabetes and hypertension. Christian Bale herniated a vertebral disk when he gained 43 pounds for American Hustle, Tom Hanks blames his diabetes for sudden weight gains for various roles. A sudden pile up of weight causes permanent metabolic changes in the body which trigger a hormonal imbalance. An altered biological state, makes maintaining a fixed body weight very difficult in the long run. Now it’s much easier to gain weight, but trimming down suddenly to your original size is a recipe for disaster and can have damaging effects on your organs. Kareena Kapoor brought the size zero fad to India in 2007 when she lost eight kilos to don a bikini in the movie Tashan. After suffering from weakness and dizziness, a couple of fainting spells, she later went on to advocate curves and a healthier size and swore to never return to that frame again. Anne Hathaway survived on “rabbit diet”, almost starving herself to play the role of a poor prostitute in Les Miserables. The petite actor didn’t exactly have much weight to lose to begin with, so her 16 pound drop in 30 days was so dramatic that a doctor was hired to keep an eye on her! The healthy way would’ve been a weight loss of 2-3 kgs in a month. The actor became so fragile that she broke an arm in a fall and was nutritionally deficient. Hormonal imbalance with sudden weight loss in women leads to menstruation disturbance as well. When you go on a radical diet, the body starts burning up the fat reserves. So weight loss happens very fast but it is not pure fat loss, it is a lot of fluid and muscle loss as well. Muscle loss is hard to recover from. It takes a lot of exercise to build just one kilo of muscle but you can lose it quickly incase of a dramatic weight loss. So the key is to lose weight at a slow, sustainable way. Just half a kilo per week is easy for your body to cope with. Plus if you do regular exercise, you will maintain your muscle mass. Though the trend of dramatic weight changes is new to Bollywood, it is a fad in Hollywood. Here are some other shocking dramatic transformations in the name of art.